So what do you do when you work in a school that tries its best to celebrate diversity but in our everyday lives we know our families and children are faced with on-going negativity in the media which surrounds us? This is the challenge we wanted to address when thinking about the wellbeing of a quarter of our school who come from numerous different countries and speak an amazing 26 different languages between them. We have always tried our hardest to celebrate the special diversity which Fairlight has and Our Future City’s #BeWell project came just at the right time. Once discussions started with the staff from OFC, Brighton Museum and colleagues from our City Centre Partnership of schools, ideas flowed thick and fast and soon a project started to form. Bec Britian, our facilitator had soon linked us up and we were able to combine the incredible knowledge and enthusiasm of Su Hepburn from the museum’s education department, and the amazing and inspiring creativity of our link artist Jo Coles, to come up with our final idea. 'The World at Fairlight' is a celebration of identity and migration. 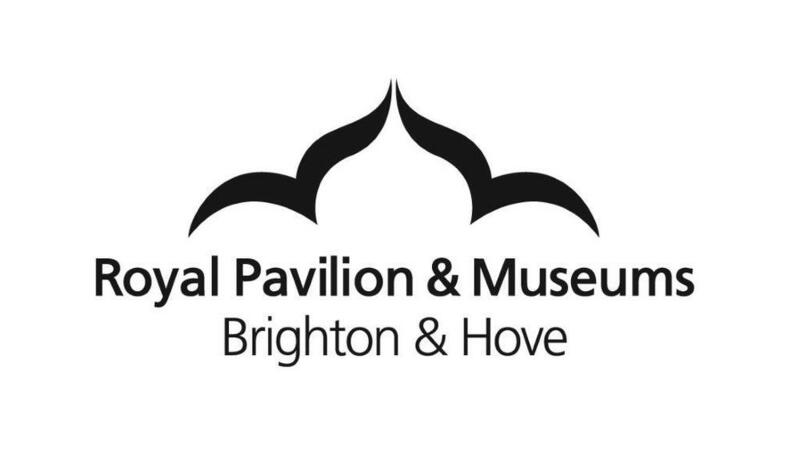 It was based on the knowledge that migration and Brighton have always been linked, and that in Brighton, and more specifically at Fairlight, children and families from all different backgrounds are always welcomed and valued. The thing that makes us all the same is our differences and this is something to be proud of. We decided to work with a group of 14 children aged 7-10yrs, whose backgrounds are as internationally diverse as you possibly could get. The group’s families came from 17 different countries and the children themselves spoke 15 different languages between them. 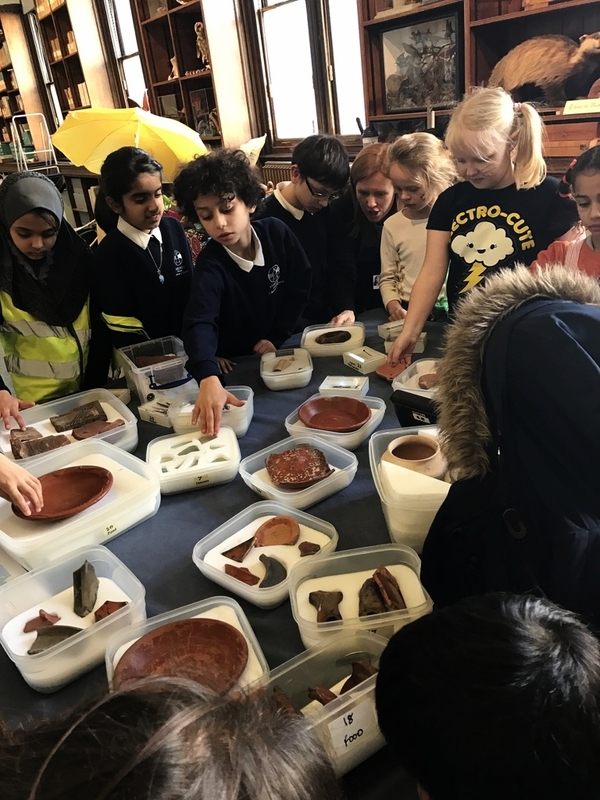 The project was kick started by an amazing session at Brighton Museum, looking at migration, the reasons for it and exploring the museum’s incredible selection of artefacts. The following day we repeated the visit, however this time the children brought their families with them and they became the teachers. The children were empowered and so enthusiastic passing over the knowledge to their families, they owned the session and were eager to show off their expertise. Following on from the visits Jo joined us back in school for a series of sessions exploring each individual child’s identity, working with them and their families to collect and present information about this. On board too we had our school’s EMAS teacher Rebecca Deane and our own Teaching Assistant, (herself from Hungary,) Tamara Olah. Excitement filled the room at every session, photos were shared, stories told, family trees drawn and special objects collected and discussed. The weeks flew by and the children grew in confidence, talking about themselves and their families and taking their tales enthusiastically back to their friends and teachers outside of the immediate project as well. The end product were beautiful and meaningful identity boxes, containing personal treasures, maps, wishes for the future and a detailed passport documenting that child’s life. Eventually it became time to organise the finale. Inspired by the story of an African Party at the museum, the children and I planned what turned out to be a very special celebration. The centre piece for our party was our museum, where the incredible identity boxes were shown off and exhibited by their owners, and talked about with confidence and pride. The children invited their families and friends, as well as the school staff and of course our school dog Bessie. Parents generously produced enough food to feed an army, full of the flavours of the world, something new for all to try. All who attended were impressed, and if you could measure wellbeing at that given time the scores would have shot through the roof. The achievements of the group and their families were amazing. The children are going to hold another museum session for the wider school to attend and then their identity boxes will be displayed for a further period in our library. The one thing however they are all desperate to do, is take their boxes home to share with others and spend more time adding to them. I have no doubt, these boxes will be treasured! Staff at Fairlight have always worked hard to promote the importance of diversity and celebrate it within our school and community. Through working collaboratively with others involved in the world of the arts, we have been able to develop a valuable project which can be used to support the wellbeing of all children. It’s vital that children grow up with a sense of identity and belonging and this is what our project achieved. In the long term we are going to continue to develop links with Our Future City and the museum service and look at how this project could be rolled out to more children both in our school and across the city. Our aims are to ensure the project is sustainable, low cost and continues to improve the well-being of the children in our school. It was a pleasure to be part of this fantastic project. Did we achieve our aims? Most definitely. "Music is, literally, the thing that keeps me going."